When it comes to travel in Uruguay, the #1 thing to do is hit the beaches. The coastline is the country's primary draw, and the peak beach/tourism season runs from mid-December through February. The rest of the year, it's very, very quiet. I visited last May, and even the most popular destinations were deserted. The only benefit to visiting during the offseason is the ability to save a little money on the cost of travel. Still, I wanted to experience the country, so I pressed onward through the most popular beaches of Uruguay in search of my own little paradise. Here's what I found. The historic town of Colonia del Sacramento is a short ferry ride from Buenos Aires, and thus makes for a popular day trip. While there's no real beaches in Buenos Aires, there's a legit one in Colonia, which makes it an especially popular Summertime destination for both tourists and porteños. But don't be fooled by the water. Colonia, like Buenos Aires, is situated along the Rio de la Plata, not the Atlantic Ocean. As long as you don't mind swimming in river water, Colonia offers the quickest and easiest beach access from Buenos Aires. Personally, I found Colonia to be a cute town, but it didn't appeal to me as a beach destination. Uruguay's capital, Montevideo, is located a few hours east of Colonia by bus, and is also situated along the Rio de la Plata. A long boardwalk connects a series of beaches dotting the city's coastline, making it a very popular place to go for a walk, jog, or bike ride. Some of the beaches looked a little nicer than others, and I believe the best are located furthest from the city center. I imagine in the high season, people can be seen sunbathing and hanging out on the beaches throughout the city, but I didn't find any of them to be too attractive. For those seeking to combine beach by day, with an active nightlife, Montevideo may be a good option. If you're in search of a more idyllic and relaxing environment, then Montevideo won't hold much appeal. Take another short bus ride east of Montevideo and you'll reach Punta del Este, the Monaco of South America. This once sleepy fishing village has blown up into one of the hottest Summer destinations on the continent. Due to its proximity to both Argentina and Brazil, it attracts legions of beachgoers during the high season. This is where South America's rich and beautiful go to party. Punta del Este feels like Miami Beach, and it's clear why it'd be a hot spot in the Summers. Easily accessible beaches combined with a notoriously wild nightlife offer visitors the perfect recipe for a good time. The rest of the year, it's a ghost town. Tall buildings filled with luxury condos stand dark and empty. The beautiful beaches are empty. And there's barely a tourist to be seen catching one of the colorful sunsets. In the offseason, it's a complete bore. You feel the potential, but most of the clubs are closed, or only open once a week. Hop another bus east for Cabo Polonio, a little hippie hamlet that still reflects the old world ways of Uruguay's coastal fishing villages. 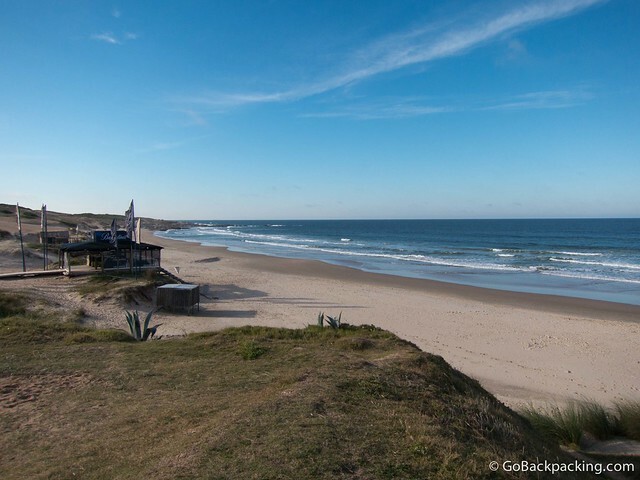 To access Cabo Polonio, you need to transfer from the bus to a special 4×4 “taxi” as there are no paved roads into town. Instead, the 4×4 shuttles visitors several times a day across the wide open beach distancing Cabo Polonio from the rest of civilization. During the high season, Cabo Polonio attracts a bohemian crowd. Like Punta del Este, they're there to party, only they're on a budget, and prefer a more rural atmosphere. During the low season, it's even more boring as Punta del Este, because only a few hostels stay open year round, and no restaurants that I can recall. If you arrive without food, you'll have to buy your own at one of the few small shops. 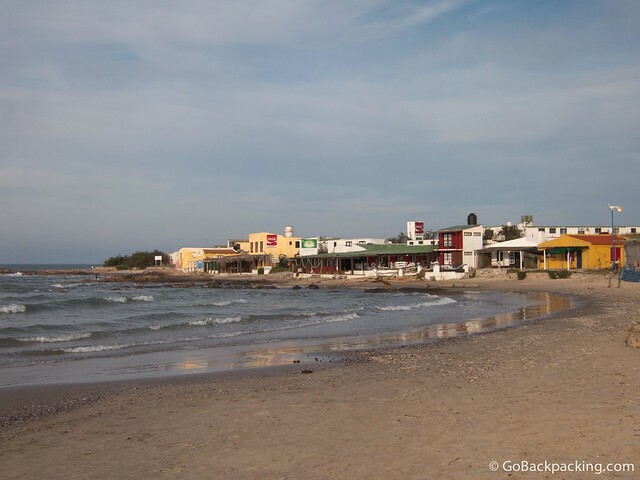 Cabo Polonio has loads of character, but the beaches of Punta del Este are nicer. Furthest east, near the border of Brazil, lies Punta del Diablo. This fishing village truly is what Punta del Este was like before developers took over. When the bus drops you off in the middle of town, you'll step out onto dirt roads. Several of the most popular hostels are a short 5-minute walk away, overlooking the main beach. Seven or eight restaurants are open all year, given visitors in the offseason a few options for meals, besides cooking for themselves. 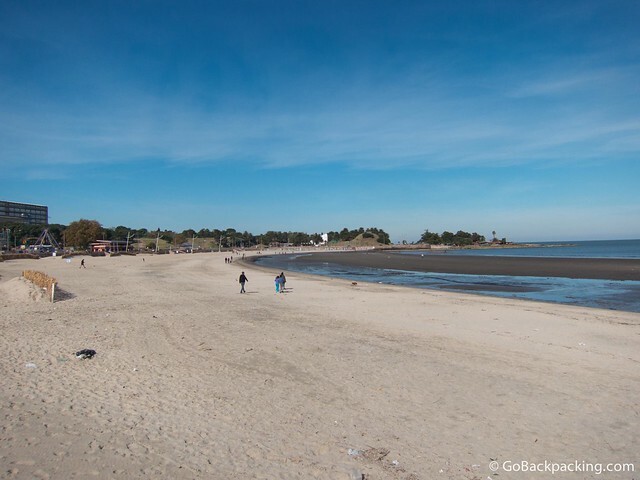 Montevideo's beaches were unattractive, and the urban environment was not relaxing. 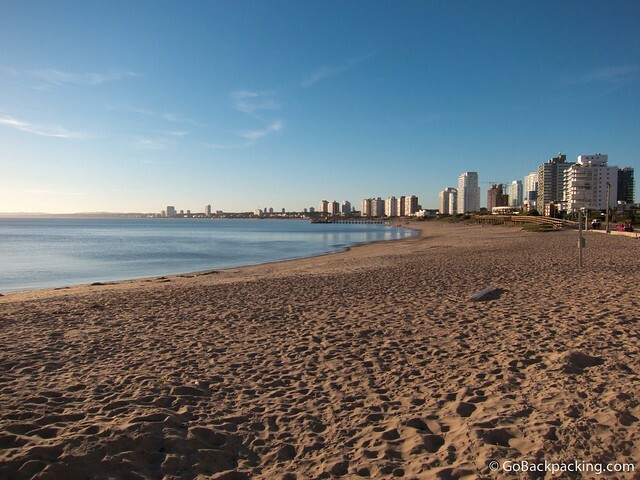 Punta del Este offered lovely beaches, but the city itself lacked character. Cabo Polonio offered character, but with less attractive beaches. Punta del Diablo hit the sweet spot for me. It had beautiful beaches, character, and a relaxing vibe. I spent four nights there, despite being one of only a handful of tourists. I caught up on writing with an ocean view, took daily walks on the beach, and enjoyed my alone time. 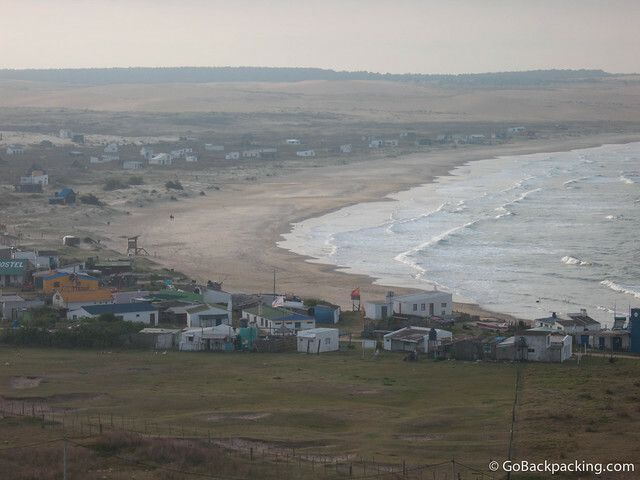 Punta del Diablo was the paradise I was seeking in Uruguay, and I imagine in the high season it attracts the kind of crowd I'd enjoy. A mix of backpackers and budget travelers would come from southern Brazil, Buenos Aires, and other parts of Uruguay to enjoy this little fishing village. Cabo Polonio is too cut off from the main coastal highway to be changing much, but Punta del Diablo could very well become a mini Punta del Este. The dirt roads paved, small beach cabins bulldozed for luxury condos. It's only a matter of time. Uruguay offers many more beaches than the ones listed here, but for those short on time, these are the most popular stops along the coast. 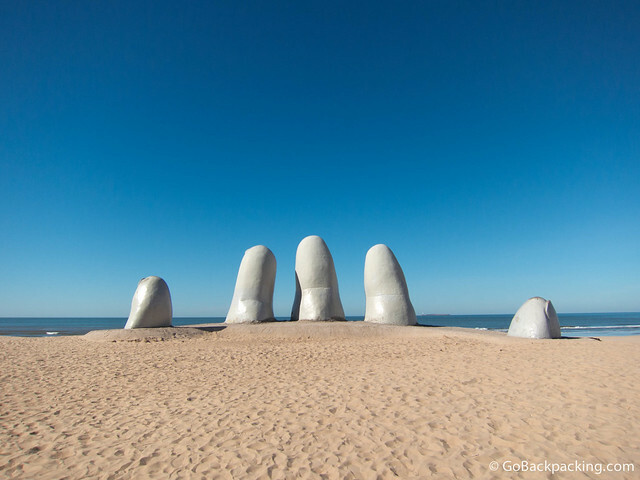 Do you have a favorite beach in Uruguay? What's most important to you when looking for a beach to visit? Thanks a lot Dave to share us such a fantastic experience of Uruguay destinations. I inspired to read your article and I want to go there and will start my trip from Colonia del Sacramento as soon. Glad to hear it Syed. We just spent a few days in Punta del Este and La Paloma here in Uruguay. The beaches did indeed look lovely (and empty; it’s March), but the weather was awful. We mostly sat inside watching the rain. Ah, that’s a bummer Sam. Despite the lack of people, I managed to get through my 10 days with some clouds, but no real rain to speak of. I would also do the same, whenever I travel to new places I always visit beaches first. I would love to see Uruguay beaches personally.